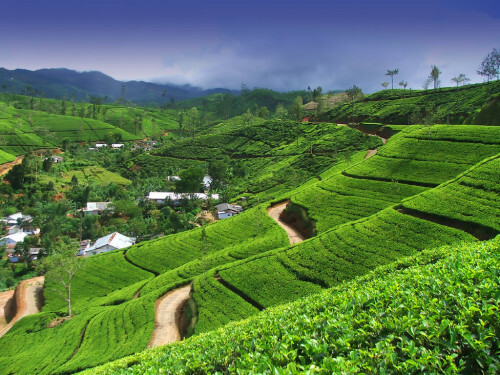 If you saw our recent post about cheap flights to Sri Lanka from Prague but Czech Republic is too far away for you we have another possibility for you today. 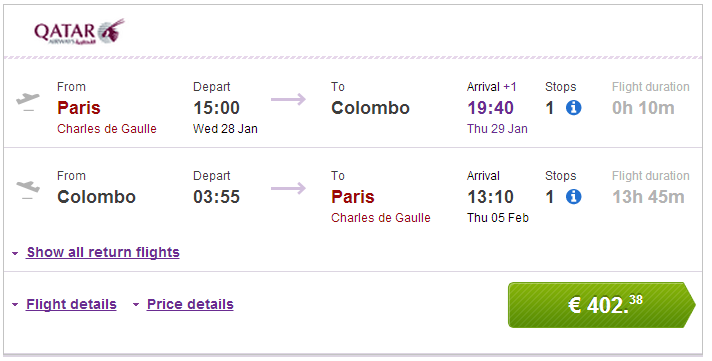 Return tickets from Paris to Colombo are now available for only €402! Flights are operated by Qatar Airways, one of the best airlines in the world. Travel dates are from January until September excluding Summer holidays. Book via Vayama for the best price or directly through Qatar Airways for €403! Hi there. Great deal this one. Anything for South Africa today? That would be awesome. Thanks and keep up with the great offers. « Cheap flights to Cambodia: Phnom Penh for only €399!